Google has quietly updated the Google Play Movies Chrome app to look like its Android counterpart. This update makes Play Movies look and operate like an separate app rather than just a service on a webpage. 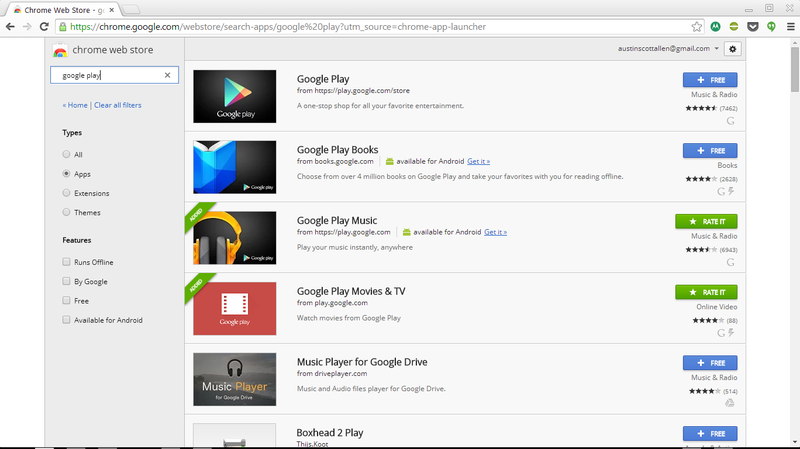 Compare the Chrome apps for Play Books and Play Movies. Play Movies now opens in its own separate window and the content displayed adapts to the size of the window. Play Books, on the other hand, opens as a tab and look and operates like any other webpage. the header image is even updated with flat look. Is this more “evidence” that Android and Chrome OS will grow closer together? While the new Play Movies app doesn’t seem to be apart of Quantum Leap, Google’s new, unified design framework for apps across multiple platforms, this does seem to be a part of a growing trend in both Android and Chrome OS that has seen the aesthetics and features of both start to overlap. Google Now coming to Chrome OS is just one example. Will this consistency across platforms see them become more intertwined and eventually merging together? Only time will tell and hopefully we’ll learn more starting tomorrow at Google I/O.